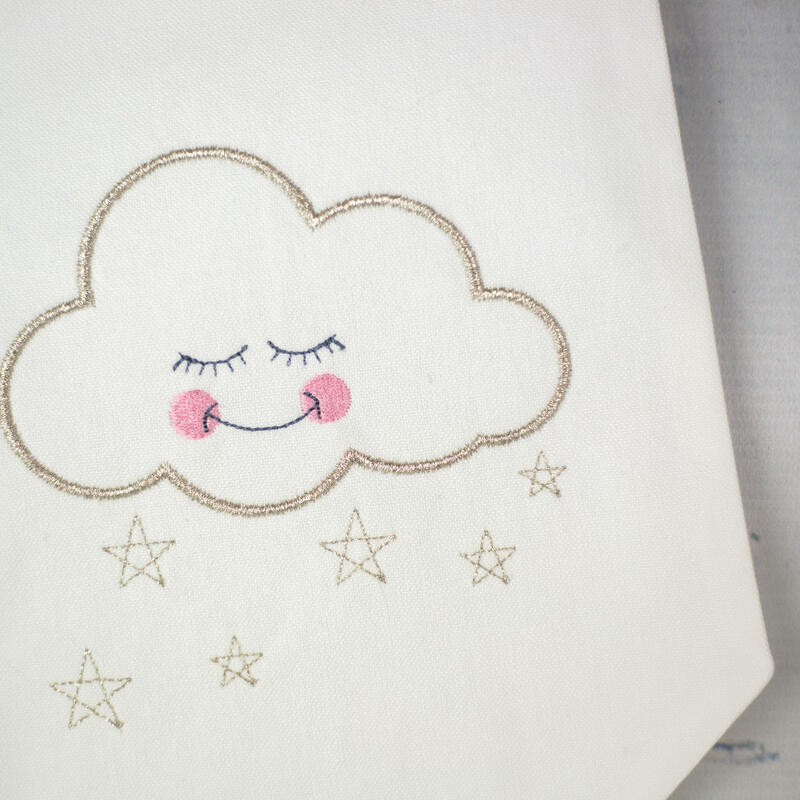 Our sleepy cloud makes a wonderful addition to any nursery and would be a lovely new baby gift. 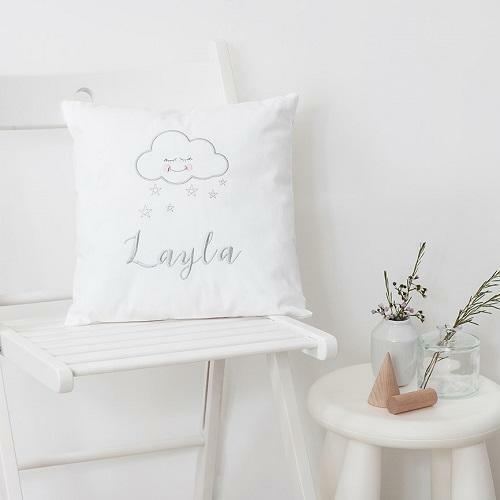 The sleeping cloud is embroidered with a metallic silver thread. The embroidered flag is attached to a pale wooden hanger. 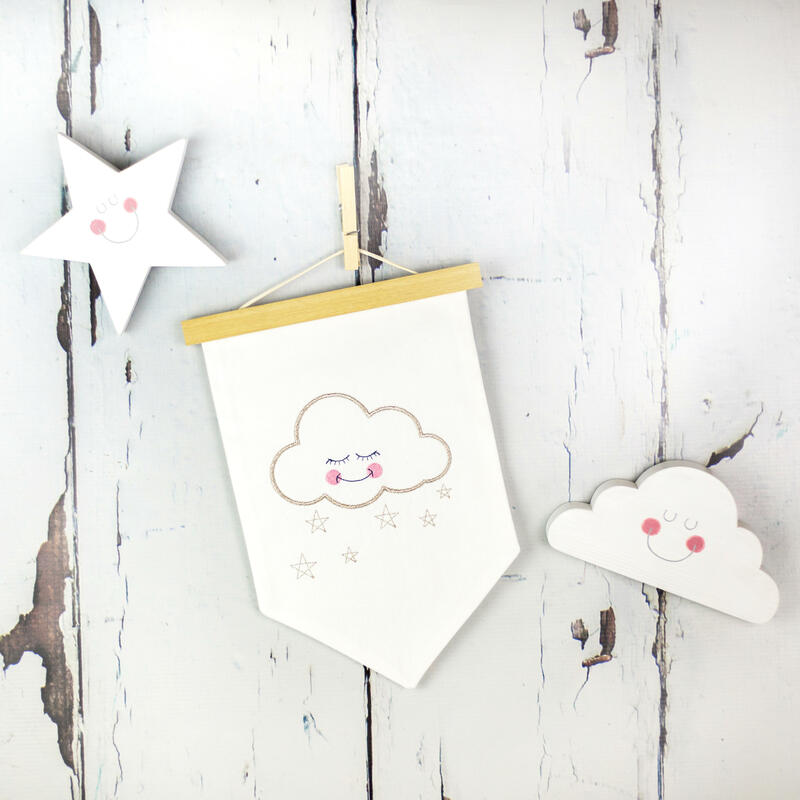 The wooden hanger holds the embroidered flag by using magnets and has a cream faux leather hanging loop. 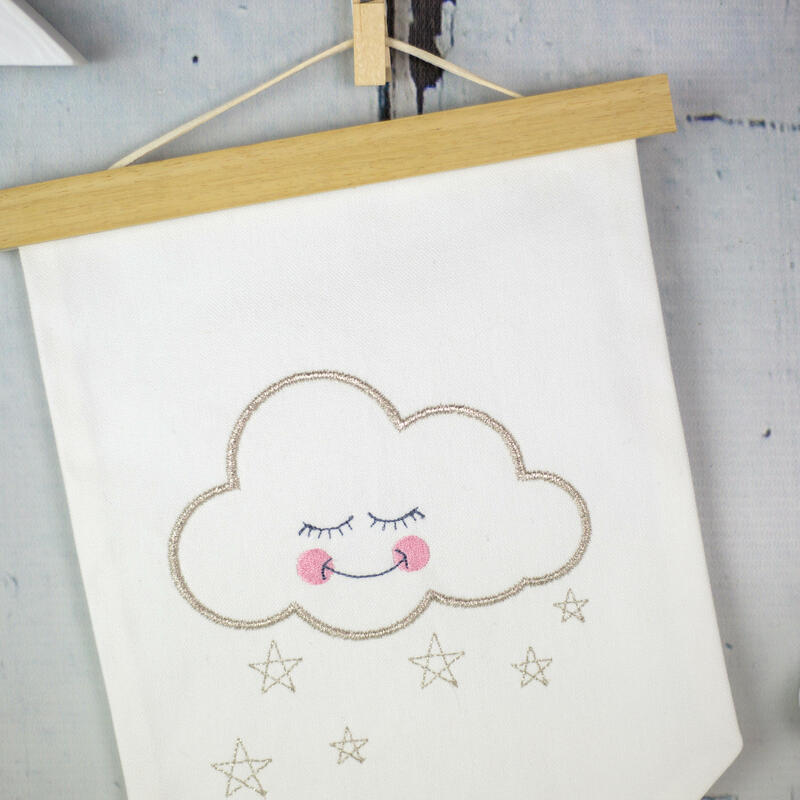 The embroidered flag is made from 100% Premium Cotton and a removable wooden hanger. Please remove the wooden hanger before hand washing. iron on reverse with a warm iron.